Why Would the Recorder of Deeds have Death Records? 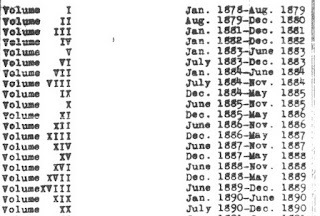 Back in November, I wrote about Sam Fink's Marriage and Death Indexes and I mentioned that some of the death index entries have volume and page numbers that refer to -- well, no one really seems to know. 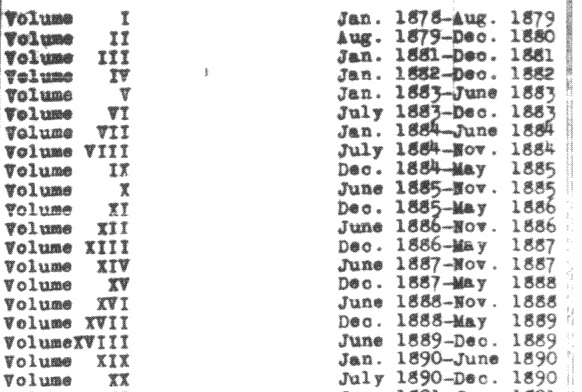 And I also mentioned that there was a key to the years included in the index. 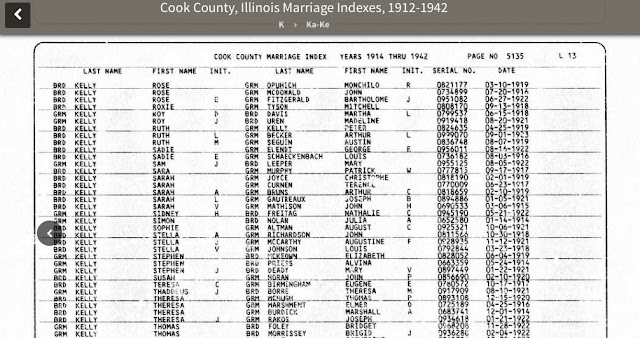 Vital records are held by the Cook County Clerk's Office but Sam Fink made it clear that the volumes he was indexing were held by the Recorder of Deeds and, knowing a little bit about Sam Fink, I don't think he made a mistake. But why would the Recorder of Deeds have death records? Q: My spouse passed away and our property is in both our names, what do I do? A: Bring in a certified copy of the death certificate and we will record it. Is it possible that the same thing has been happening in Cook County from the late 1870s forward? Is it possible that the Recorder's Office entered death record information into large volumes to document the reasons for changes in ownership? If that's the case, it's possible that the volumes Mr. Fink was indexing include records for deaths that happened both in and out of Cook County. A few months ago I asked, casually, about the existence of the books that Mr. Fink was looking at but I didn't get very far and I didn't pursue it. I think I'll have to ask again.